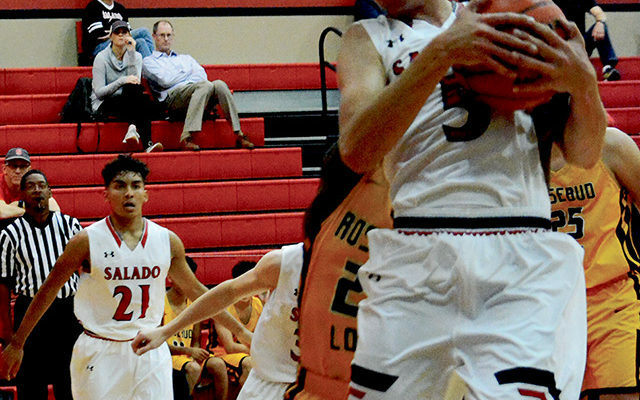 Salado Varsity Eagles won both their games over the Thanksgiving break, beating Florence on the road 61-27 on Nov. 20 and Rosebud-Lott at home 67-39 on Nov. 19. Boys’ Pools will be ranked after Friday Games. 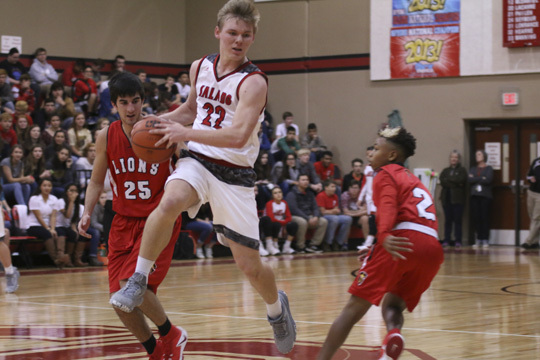 Salado Eagles lost a non-district home game to the Copperas Cove Bull-dawgs March 6. Nov. 17 Gatesville Away 5:00 p.m. 6:15 p.m. 7:30 p.m.
Nov. 20 Rosebud-Lott Away 5:00 p.m. 6:15 p.m. 7:30 p.m.
Nov. 21 Florence Home 5:00 p.m. 6:15 p.m. 7:30 p.m.
Nov. 28 Rogers Home 5:00 p.m. 6:15 p.m. 7:30 p.m.
Dec.12 Academy Away 5:00 p.m. 6:15 p.m. 7:30 p.m.
Dec. 16 Weatherford AT&T 1:30 p.m.
Dec. 19 Leander Glenn* Away 6:15 p.m. 5:00 p.m. 7:30 p.m.
Jan. 2 Burnet* Home 6:15 p.m. 5:00 p.m. 7:30 p.m.
Jan. 5 Liberty Hill* Away 6:15 p.m. 5:00 p.m. 7:30 p.m.
Jan. 9 Taylor* Home 6:15 p.m. 5:00 p.m. 7:30 p.m.
Jan. 12 Pflugerville Weiss Home 5:00 p.m. 6:15 p.m.
Jan. 16 Llano* Home 7:30 p.m. 5:00 p.m. 6:15 p.m.
Jan. 19 Lampasas* Away 7:30 p.m. 5:00 p.m. 6:15 p.m.
Jan. 23 Leander Glenn* Home 7:30 p.m. 5:00 p.m. 6:15 p.m.
Jan. 26 Burnet* Away 7:30 p.m. 5:00 p.m. 6:15 p.m.
Jan. 30 Liberty Hill* Home 7:30 p.m. 5:00 p.m. 6:15 p.m.
Feb. 2 Taylor* Away 7:30 p.m. 5:00 p.m. 6:15 p.m.
Feb. 9 Llano* Away 5:00 p.m. 5:00 p.m. 6:15 p.m.
Feb. 13 Lampasas* Home 5:00 p.m. 5:00 p.m. 6:15 p.m. Competing Varsity Boys basketball teams are Salado, Central Texas Christian School, Bruceville-Eddy, Lago Vista, McGreger, Paradise, Travis, Pilot Point, Thorndale, Caldwell, Jarrell, Glenn. Nov. 17 Burnet There 5:00 p.m. 5:00 p.m. 6:00 p.m. 6:00 p.m.
Nov. 29 Salado Tournament Here 5:00 p.m. 5:00 p.m. 6:00 p.m. 6:00 p.m.
Dec. 1 Marble Falls Here 5:00 p.m. 5:00 p.m. 6:00 p.m. 6:00 p.m.
Dec. 5 Llano There 5:00 p.m. 5:00 p.m. 6:00 p.m. 6:00 p.m.
Dec. 12 Lampasas There 5:00 p.m. 5:00 p.m. 6:00 p.m. 6:00 p.m.
Jan. 9 Fredericksburg Here 5:00 p.m. 5:00 p.m. 6:00 p.m. 6:00 p.m.
Jan. 19 Burnet Here 5:00 p.m. 5:00 p.m. 6:00 p.m. 6:00 p.m.
Jan. 26 Marble Falls There 5:00 p.m. 5:00 p.m. 6:00 p.m. 6:00 p.m.
Feb. 2 Llano Here 5:00 p.m. 5:00 p.m. 6:00 p.m. 6:00 p.m.
Feb. 9 Lampasas Here 5:00 p.m. 5:00 p.m. 6:00 p.m. 6:00 p.m.
Feb. 13 Fredericksburg There 5:00 p.m. 5:00 p.m. 6:00 p.m. 6:00 p.m.
11/18/16 Gatesville High School Hornets Gatesville High School 07:30 PM Varsity | JV: 6:15 p.m. | 9th: 5:00 p.m.
11/21/16 Rosebud Lott High School Cougars 11:35 AM Varsity | JV: 6:15 p.m. | 9th: 5:00 p.m.
11/22/16 Florence High School Buffaloes Florence High School 07:30 PM Varsity | JV: 6:15 p.m. | 9th: 5:00 p.m.
11/29/16 Rogers High School Eagles Rogers High School 07:30 PM Varsity | JV: 6:15 p.m. | 9th: 5:00 p.m.
12/01/16 Coach Smith Memorial Tournament Salado High School Gym T.B.D. 12/02/16 Coach Smith Memorial Tournament Salado High School Gym T.B.D. 12/03/16 Coach Smith Memorial Tournament Salado High School Gym T.B.D. 12/08/16 Jarrell High School Cougars Jarrell High School T.B.D. 12/09/16 Jarrell High School Cougars Jarrell High School T.B.D. 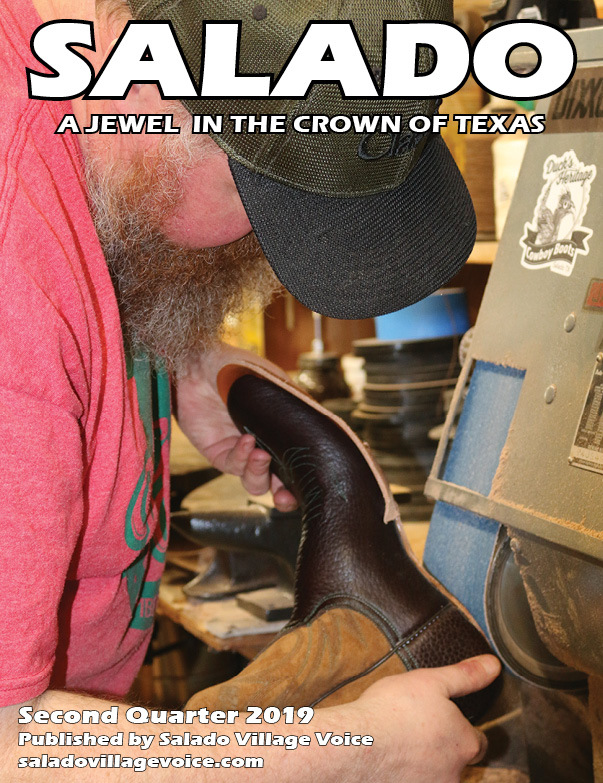 12/10/16 Jarrell High School Cougars Jarrell High School T.B.D. 12/13/16 Academy High School Bumblebees Academy High School 07:30 PM Varsity | JV: 6:15 p.m. | 9th: 5:00 p.m.
12/16/16 Leander Glenn High School Grizzlies 07:30 PM Varsity | JV: 5:00 p.m. | 9th: 6:15 p.m.
12/19/16 Grandview High School Zebras Grandview High School 03:15 PM Varsity | JV: 2:00 p.m.
12/28/16 Bridgeport HS Tournament Bulls Bridgeport High School T.B.D. 12/29/16 Bridgeport HS Tournament Bulls Bridgeport High School T.B.D. 01/03/17 Burnet High School Bulldogs Burnet High School 07:30 PM Varsity | JV: 5:00 p.m. | 9th: 6:15 p.m.
01/06/17 Liberty Hill High School Panthers 07:30 PM Varsity | JV: 5:00 p.m. | 9th: 6:15 p.m.
01/10/17 Taylor High School Ducks Taylor High School 02:00 PM Varsity | JV: 5:00 p.m. | 9th: 6:15 p.m.
01/17/17 Llano High School Yellowjackets Llano High School Stadium 06:15 PM Varsity | JV: 5:00 p.m. | 9th: 7:30 p.m.
01/20/17 Lampasas High School Badgers 06:15 PM Varsity | JV: 5:00 p.m. | 9th: 7:30 p.m.
01/24/17 Leander Glenn High School Grizzlies Tom Glenn High School 06:15 PM Varsity | JV: 5:00 p.m. | 9th: 7:30 p.m.
01/27/17 Burnet High School Bulldogs 06:15 PM Varsity | JV: 5:00 p.m. | 9th: 7:30 p.m.
01/31/17 Liberty Hill High School Panthers Liberty Hill High School 06:15 PM Varsity | JV: 5:00 p.m. | 9th: 7:30 p.m.
02/03/17 Taylor High School Ducks Taylor High School 06:15 PM Varsity | JV: 5:00 p.m. | 9th: 7:30 p.m.
02/10/17 Llano High School Yellowjackets 06:15 PM Varsity | JV: 5:00 p.m. | 9th: 5:00 p.m.
02/14/17 Lampasas High School Badgers Lampasas High School 06:15 PM Varsity | JV: 5:00 p.m. | 9th: 5:00 p.m.